-Expert wants rice eaten with vegetables in order to have a balanced diet. -Eating vegetables can give much the body much needed vitamins that will keep the body in order and avoid unnecessary visits to the hospital. 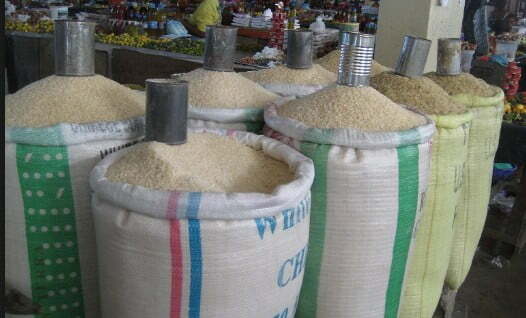 Health and food experts advise on the need for Nigerians to include vegetables in every rice meal they eat. 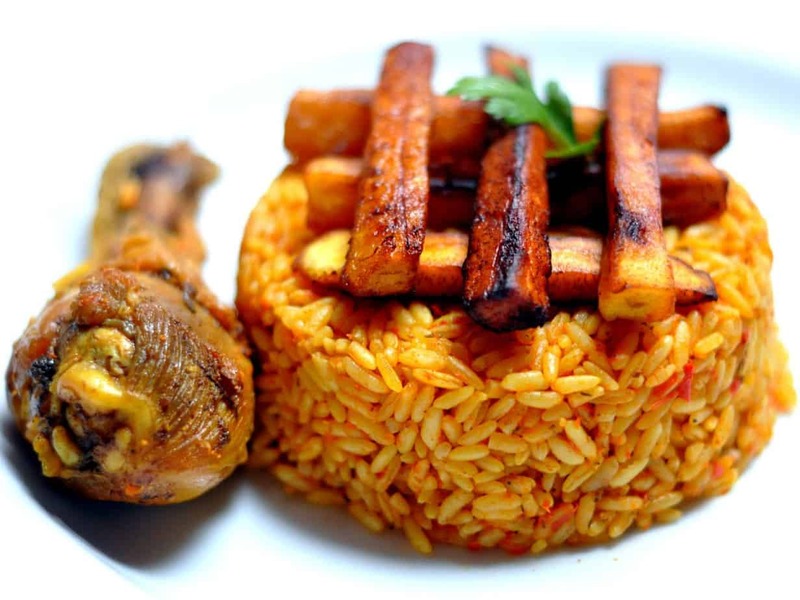 A member of the Association of Professional Chefs, Nigeria, Mark Punshak, has advised Nigerians to always eat rice with vegetables if they desire to live healthy lives. He made the submission on the sidelines of a recent event organised by Nestle Nigeria Plc, Nigeria, to mark the 2017 International Chefs Day at Abeokuta. 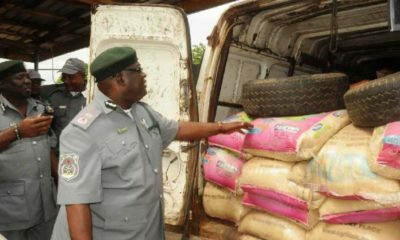 Punshak said that rice, especially the common white type consumed in Nigeria, has a very high concentration of starch or carbohydrate. Quoting figures from some nutritionists, Punshak stated that white rice is about 90 per cent carbohydrate, eight per cent protein and two per cent fat, therefore, it is advisable to cook or eat rice, whether white, jollof, fried with mixed vegetable or sauce from locally grown and affordable vegetables for added nutritional benefits. “Nigerians love to eat rice and in fact, it is the most popular staple food in the country. He said. So, since the food has been established as being commonly eaten, why must it be “No More Rice without Vegetables? “To be able to balance our dish, we are talking very strongly about the use of vegetables because vegetables give vitamins and also it gives attraction and colours to the dish. “It is important for us to add vegetable, whether it is Fluted Pumpkin leaves or `Ugu’ in local Nigeria parlance, carrots, cabbage or any other vegetable to give more nutrients and attraction to the food. Punshak adds: “When vegetables are in your dishes, they are more enjoyable than when they are just flat. “Then, when you eat more vegetables, you are playing a lot with vitamins, and vitamins do a lot in our system to help fight against diseases and make us healthier. The chef emphasized people don’t necessarily have to go expensive in order to eat vegetables, stating that some common vegetables such as fluted pumpkin, commonly known as Ugu, can be used to embellish the food and work wonders on the human body. “Fluted pumpkin leaves contain a good amount of Vitamin A, Vitamin C, Calcium, and Iron, while still being low in calories. “Ugu contributes to blood building and good health and that is why it is recommended; people in the low-income group can daily include it in their diet because it is cheaper. “The leaves are rich in iron and the vegetable plays a key role in the cure of anaemia; also, it can effectively be used to fight and prevent diseases, such as kwashiorkor. “Since our body cannot produce these vitamins on its own or even store them, one should be consistently getting enough vitamin C in the diet,’’ Punshak said. Adding his voice to the discuss, a health experts says lack of sufficient vitamins which can be easily gotten from vegetables, could lead to avoidable health challenges. Dr Daniel Egbule says: “Vegetables give vitamins, calcium, iron and are sources of other macro and micro nutrients. “Low-level vitamin deficiencies can drain energy, diminish immune function, lead to mood swings and even affect brain functioning. “Vitamin A helps to keep the eyes and skin healthy and it helps to protect against infections; vegetables like okra, ugu, carrot, asparagus, cantaloupe, collard greens, cabbage and lettuce have high Vitamin A contents. “Vitamin C helps to heal cuts and wounds, as well as keeps the teeth and gums healthy; it can be got from vegetables like Ugu, cabbage, tomato, broccoli, corn, carrot, onion, okra, and spinach. “Calcium is essential for healthy bones and teeth; it is also needed for normal functioning of muscles, nerves and some glands. Spinach and greens offer these nutrients. “Diets that are rich in dietary fibres help us have a decreased risk of coronary heart diseases and those rich in folate help a woman to have reduced risk of having children with spinal cord defect,’’ he said. “Eating healthy meals with vegetables helps to save costs of treatment of ailments in hospitals. “It also saves loss of man-hours and enhances increased productivity as a result of workers being regular at duty. “So, it is only wise that people should eat right and if the professional chef says we should always eat rice with vegetables we should comply as rice is our most common staple food,’’ Egbule says.